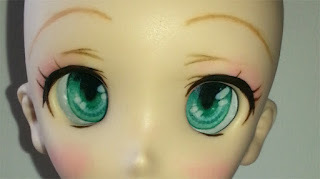 After my experimenting with clear eye chips for Blythe dolls, I went further into experimenting with making my own custom Dollfie Dream eyes, or 1/3 Ball Jointed Doll eyes. 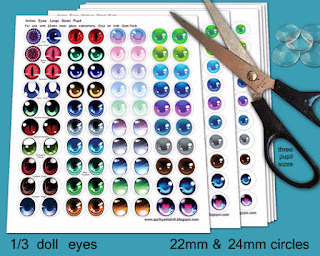 Using 22mm glass domes or cabochons some glue and an image you can make some very beautiful doll eyes yourself. First you need some 22mm or 24mm Glass domes. I get mine from Ebay or Etsy. They are cheaper then buying pre-made doll eyes by far. Although for Ebay expect a month wait time as most of the sellers are in China. 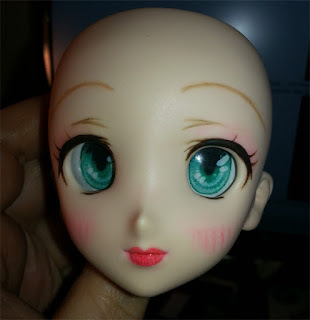 Next you need an image to go behind the dome. 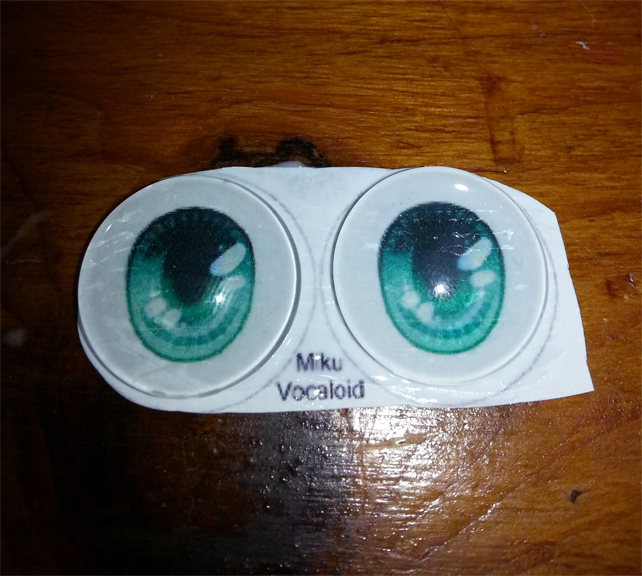 I made several collage sheets of Anime or Animetic doll eyes for this purpose. 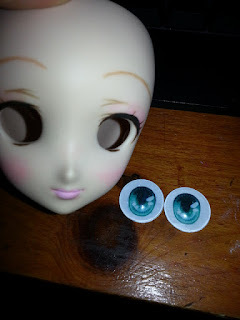 For this tutorial I used size 22mm domes and the 'Miku eyes' from the collage sheet of eyes from my shop, available here. 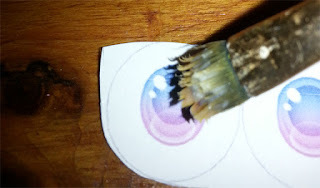 Paint on some white glue... if you find your ink smears then use 'gem tack' glue instead. For me the white glue was fine. 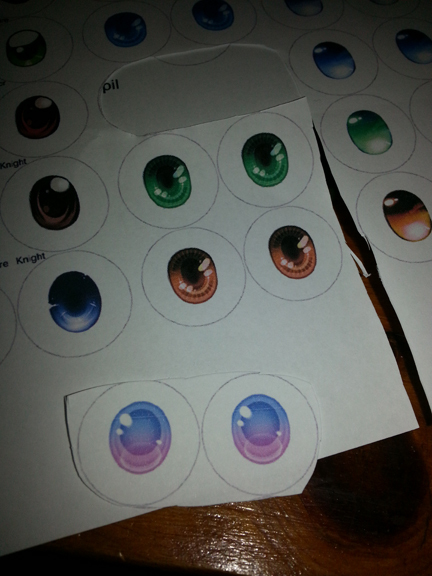 Ok.. next attempt... add domes to paper... and then pick them up and smooth them. 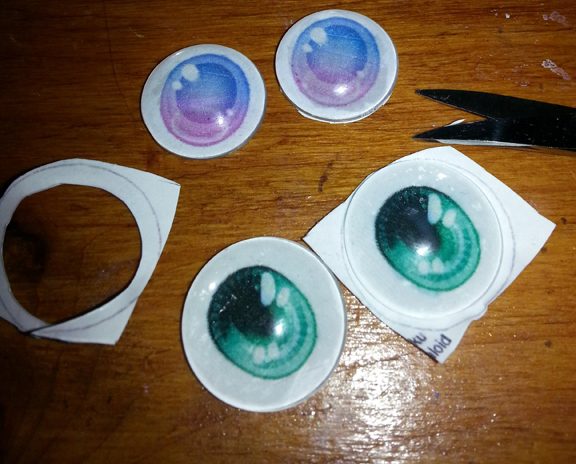 Opps you can't pick them up together like this.. so cut them apart first. Now smooth out the air bubbles. Now leave them dry upside-down for about 5-10 mins. Cut the eyes out. 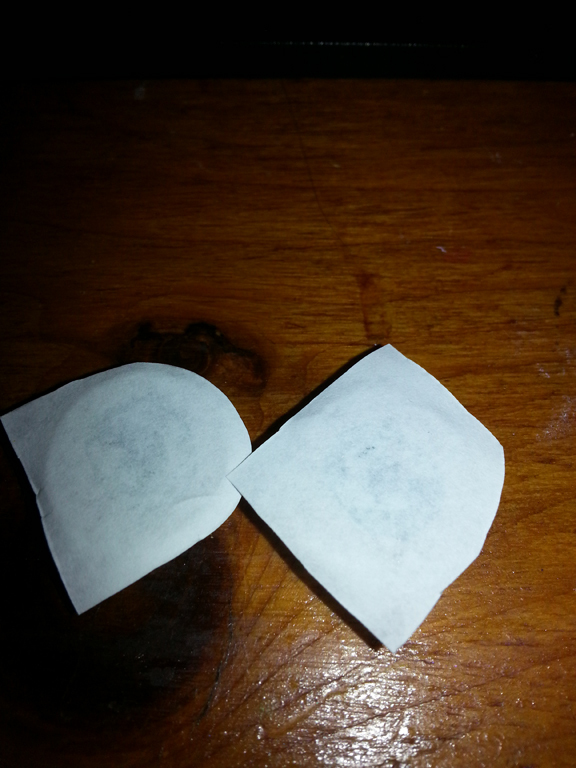 Be careful or the paper will peel right off. 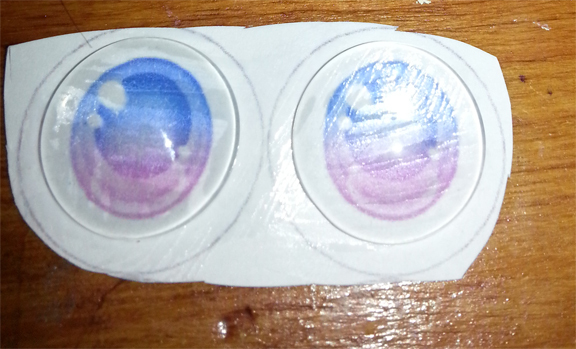 (Bonus: if you messed up the paper peels right off). 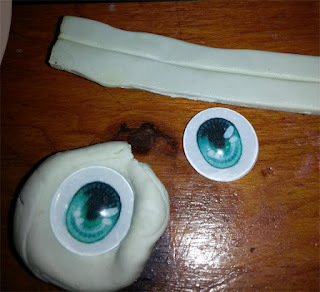 Using about 2 sticks of white putty, (stick tack or poster tack) press eye into blob. Press blob into the head.. Adjust. You are done!